Product information "Horse scale PW 1500"
The horses scale PW 1500 is designed specifically for weighing horses. A special animal weighing software guarantees fast weighing even with restless animals. 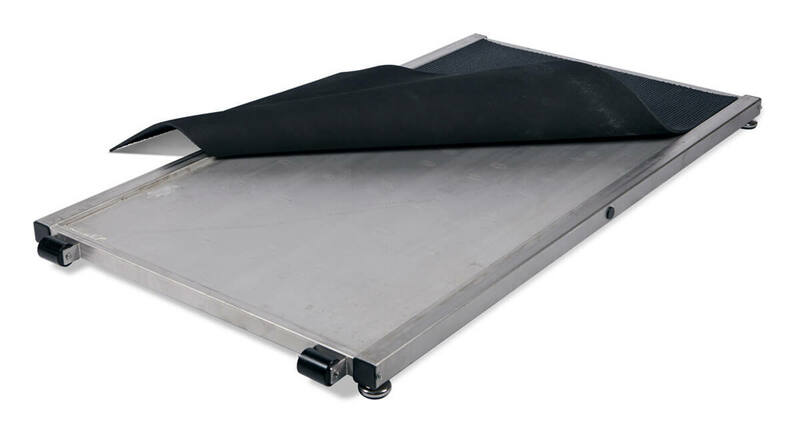 The design allows a low step height and the rubber mat which absorbs impact sound faciliates the weighing of the animals. 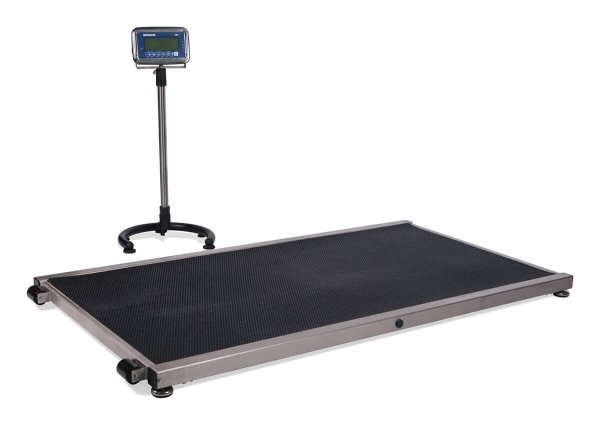 The weighing platform of the Horse scale is made ​​of stainless steel with inlaid non-slip 8 mm - rubber flooring. A special software program is provided that works out a stable average weight, even when the animal is moving around (restless animals), and enables you to determine the exact weight. As with all BOSCHE scales, all the cables and load cells are laid in the frame and therefore protected against damage. The PW 1500 is a manoeuvrable horse scale that can be brought easily to the respective location. The horse can be weighed at almost any point, because the scale is battery operated. The integrated 4 Ah battery pack provides absolute mobility because of the posibility of up to 100 hours of network-free operation, it can also operate in network operation easily. Related links to "Horse scale PW 1500"